BEAT BUGS reimagines classic songs made famous by The Beatles for a new generation—and teaches some life lessons along the way. 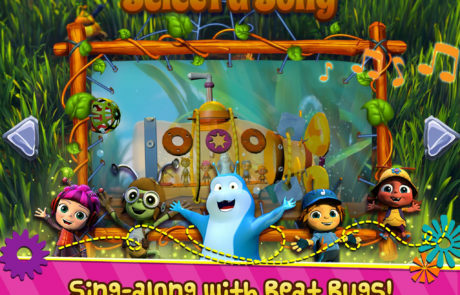 Now you can enjoy the Beat Bugs in a whole new way as they debut their first official BEAT BUGS interactive sing-along, play-along musical app! 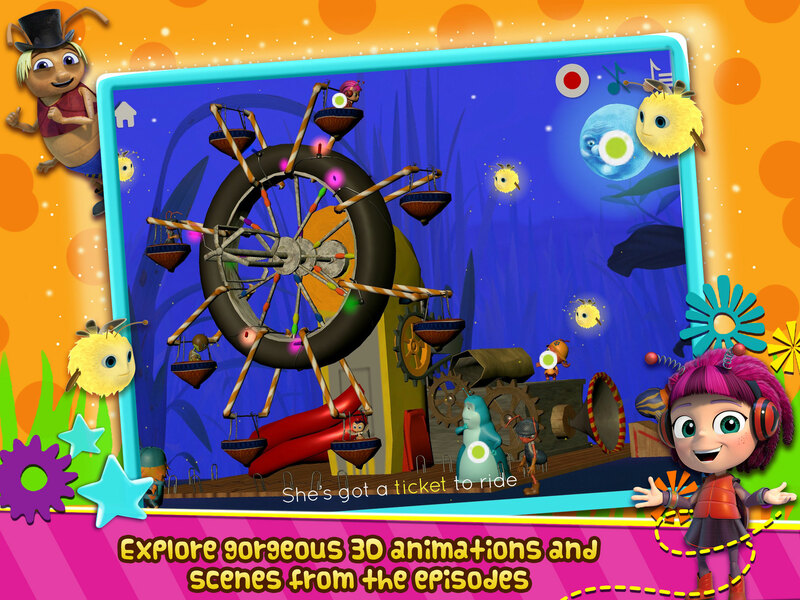 Each episode of this Emmy Award-winning show, springboards a classic Beatles song into a delightful backyard adventure filled with music, fun and adventure. 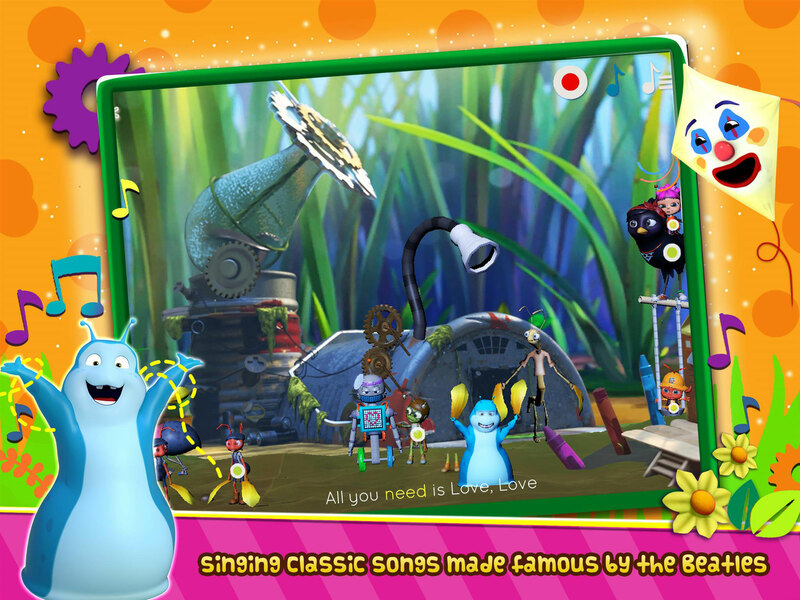 Together with their friends from around the backyard, they explore, invent and sing. While they often get into mischief, they always get by with courage, creativity and some help from their friends. 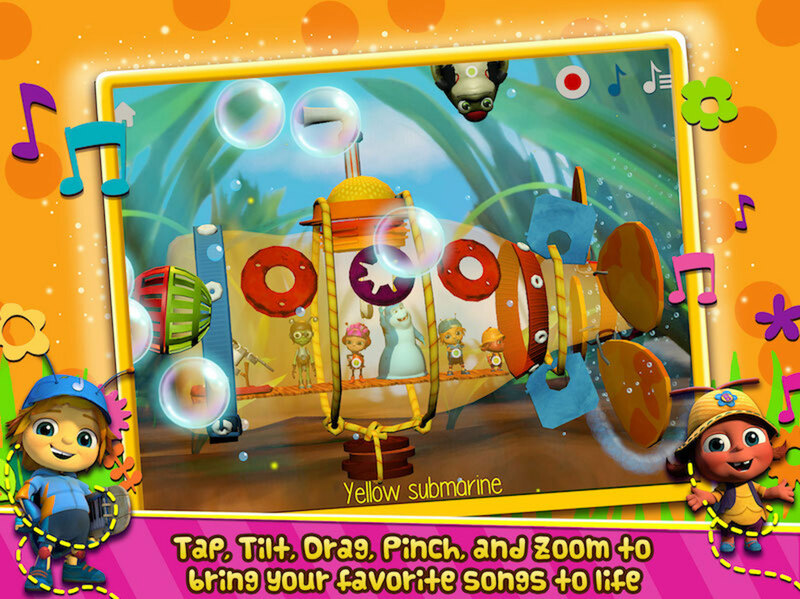 With this new musical interactive app, you can play and sing right along! Join Jay, Crick, Buzz, Kumi and our favorite ‘performing’ slug, Walter, Buzz as they sing, play and explore their world, in an overgrown backyard filled with fun, music and adventure! 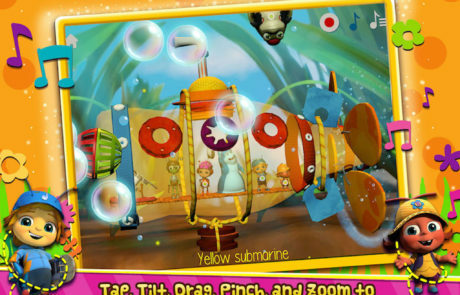 Yellow Submarine: A backyard sprinkler creates an underwater wonderland for the Beat Bugs to explore! Join them on their adventure! 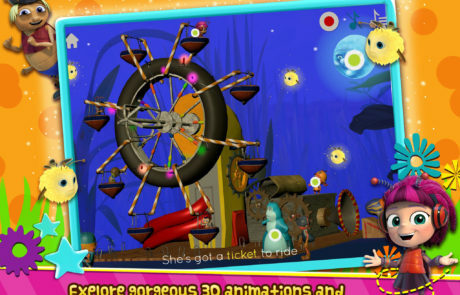 Ticket to Ride: A tricycle wheel becomes a magical Ferris Wheel powered by golden leaves and Alex the stink bug! 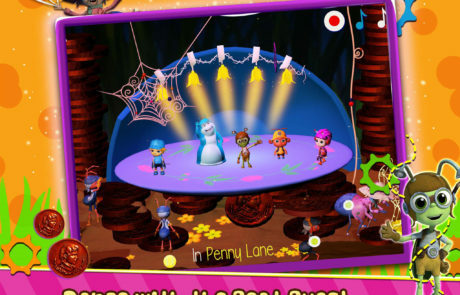 Penny Lane: The Beat Bugs world becomes a stage where they can all come together and sing, dance and be merry! 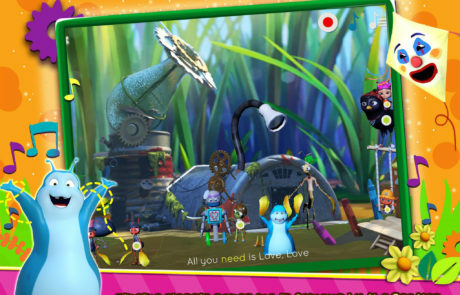 All You Need is Love: Explores the BEAT BUGS world and meet the bugs of the back yard! 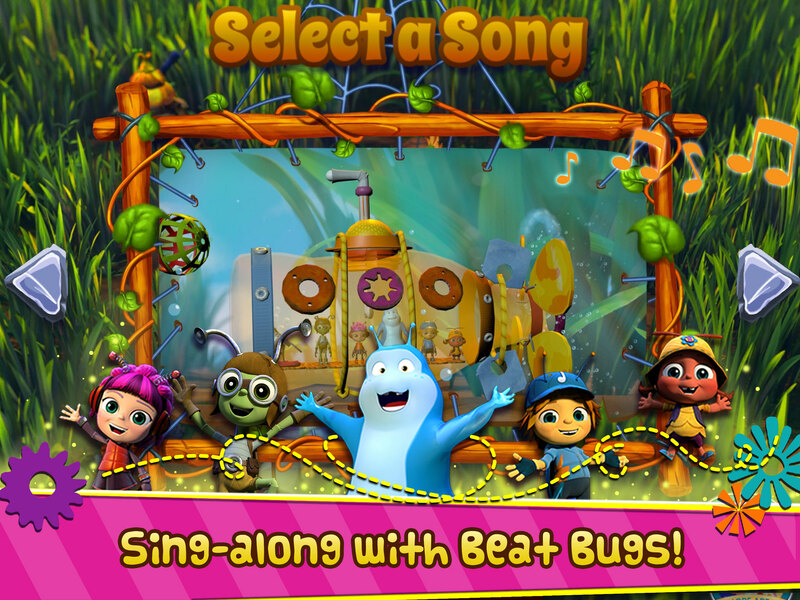 Sing- Along: Listen to the BEAT BUGS sing your favorite songs made famous by the Beatles and sing-along with them. 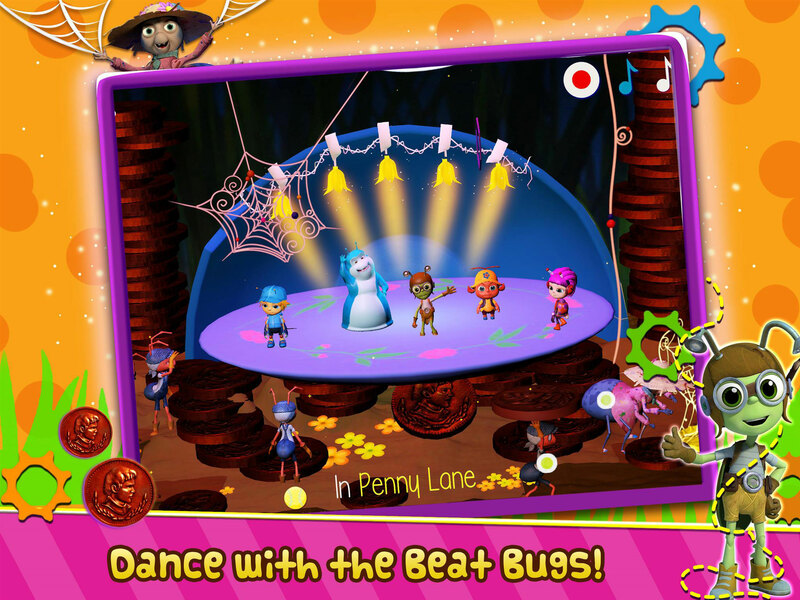 This is the first official interactive musical app from the Emmy Award-winning BEAT BUGS series, a sing-along, play-along musical experience that lets you take the best part of the show with you. Check out these fun features!